1. 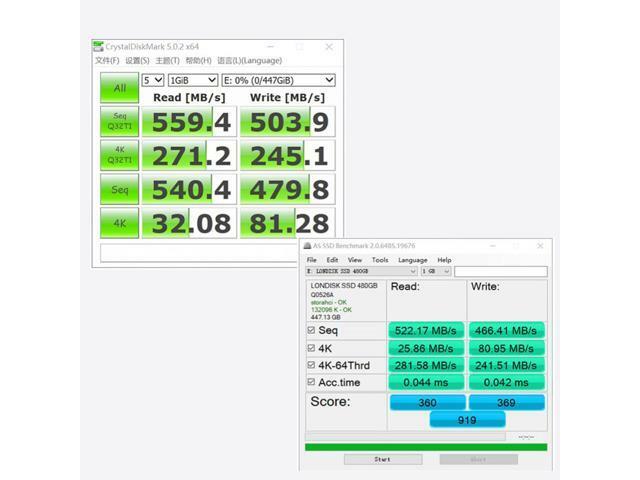 [ SATA III Interface 2.5 inch SSD]: LONDISK 480GB SSD has the same Serial SATA interface of 6.0Gbps (SATA III) with Hard Disk Drives and same physical dimension to your Laptop/Desktop Computers, ideal for systems with limited available space. 2. 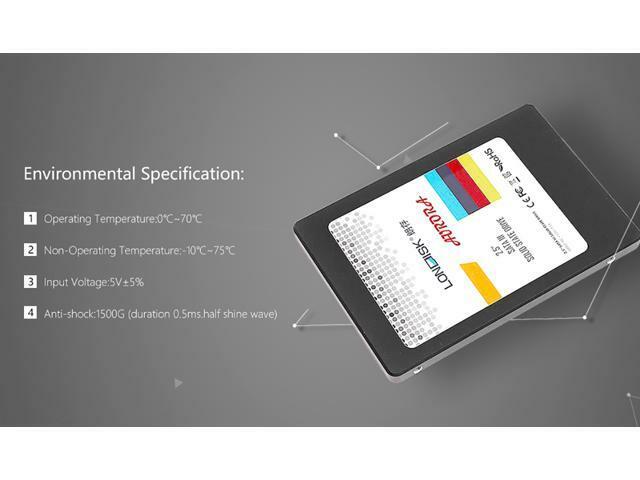 [3D NAND Solid State Drive]: LONIDSK SSD fully consists of semiconductor devices using 3D TLC NAND Flash Memory which provide high reliability and high performance for a storage media. And offering exceptional read/write performance, reliability and power management efficiency, say goodbye to hard drive lag. 3. [Internal SSD from 120GB to 960GB]: SSD 480GB hard drives holds all your irreplaceable files and keep your family videos, travel photos, music, and important documents. 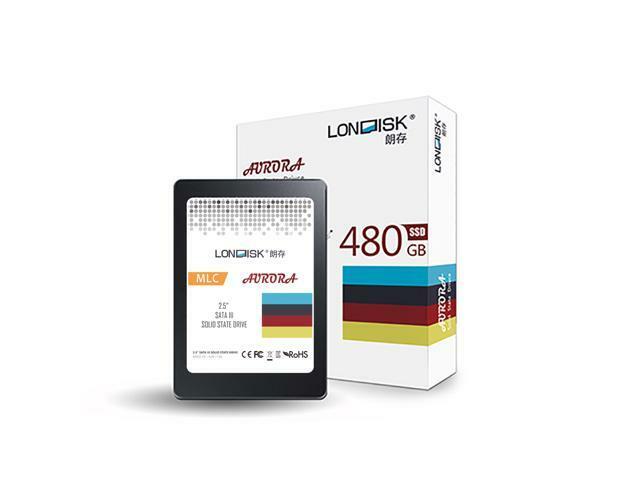 Each LONDISK 2.5 inch SSD 480GB is engineered for superior quality and reliability, with over a thousand hours of pre-release validation testing and hundreds of SSD qualification tests, keeping your data secure and using without any breaking. 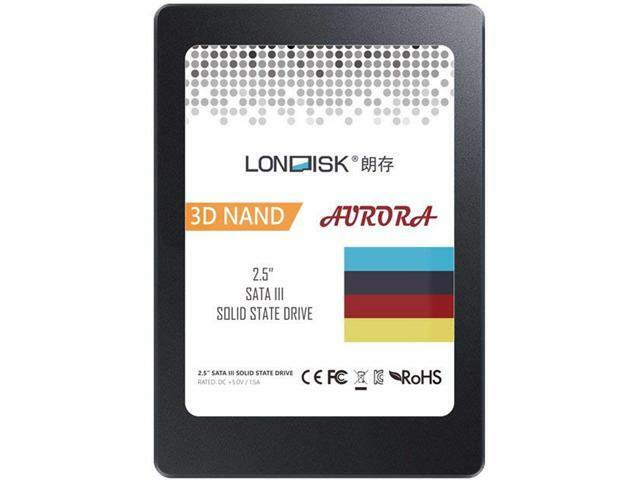 LONDISK AURORA 2.5 inch Solid State Drive is designed for use in desktop and slimmer notebook computer workloads, fits in a wider array of systems, ideal for systems with limited available space. 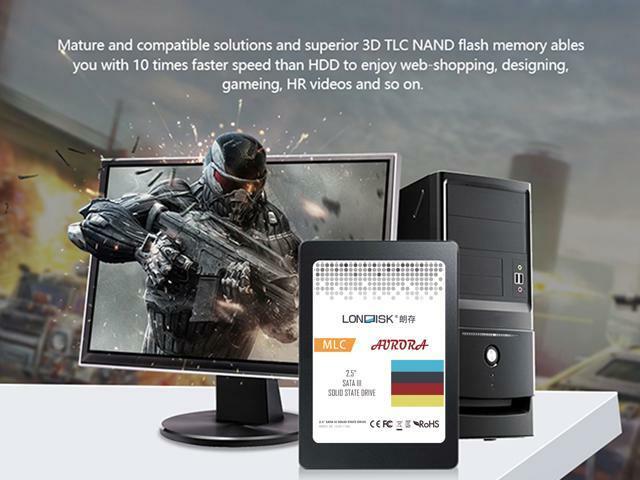 LONDISK PC SSD Drive that fuses the latest DRAM cache 3D NAND flash technology and latest SATA III Interface, boot up in seconds and fly through the most demanding applications. So you can boot up almost instantly, reduce load times and lower energy consumption, keep up and running longer, 2.5 inch SSD hard drives or Laptop SSD holds all your irreplaceable files and keep your family videos, travel photos, music,and important documents. Each LONDISK SSD is engineered for superior quality and reliability, keeping your data secure and using without any breaking, boost your PC/laptops all the time. 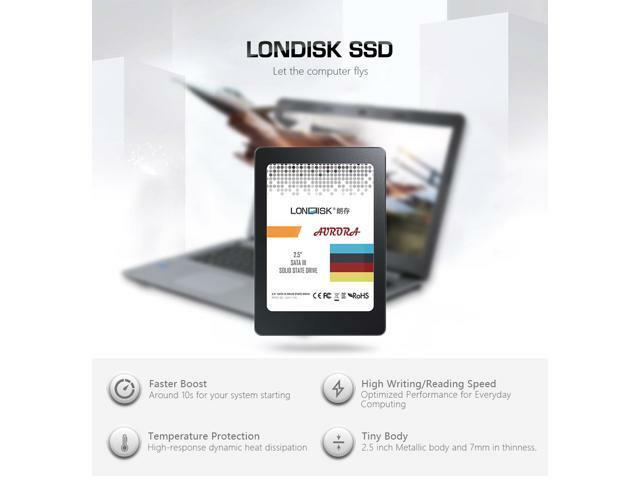 5-year limited warranty After-sale Supports for all LONDISK AURORA 2.5 inch Solid State Drive. LONDISK 2.5" (7mm) SATA III (6GB/s) SSD + SATA 3.0 Cable each 1pc.